If you're in between sizes and have a full cup size (D+) and/or fuller hips, we recommend ordering up. The fabric has a light stretch. Celebrate your femininity with this 40s Kathryn Pencil Dress in Green and Mustard! 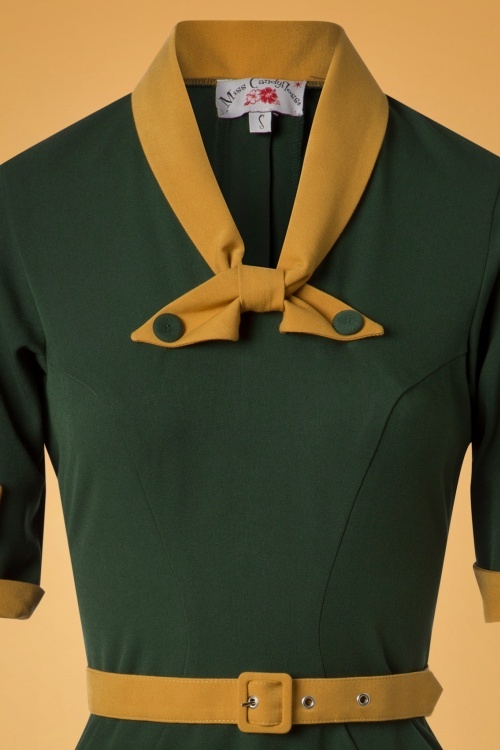 She is a sophisticated, classy, 40s inspired killer dress that is also suitable for a day at the office ;-) This fabulous dress features a stunning fitted bodice with a contrasting, mustard yellow collar finished off with a bow, short sleeves with fold-overs and a belt that accentuates your waist. Made of a firm, yet supple, dark green fabric with a light stretch that enhances your curves without marking any problem areas. 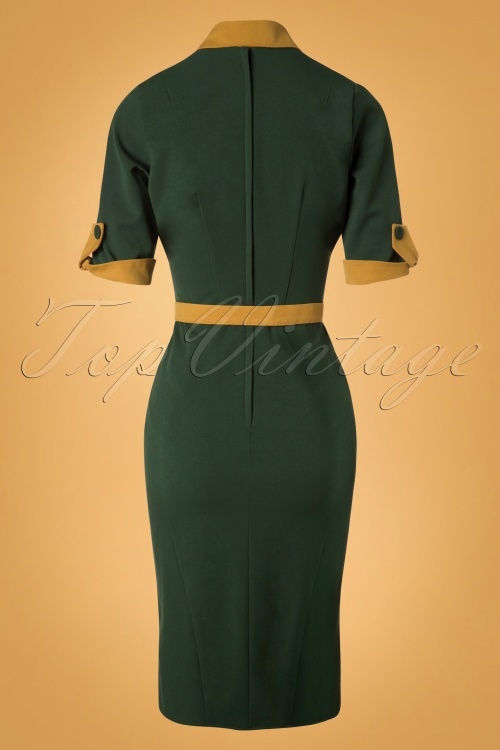 Feel like a forties femme fatale in this gorgeous dress! 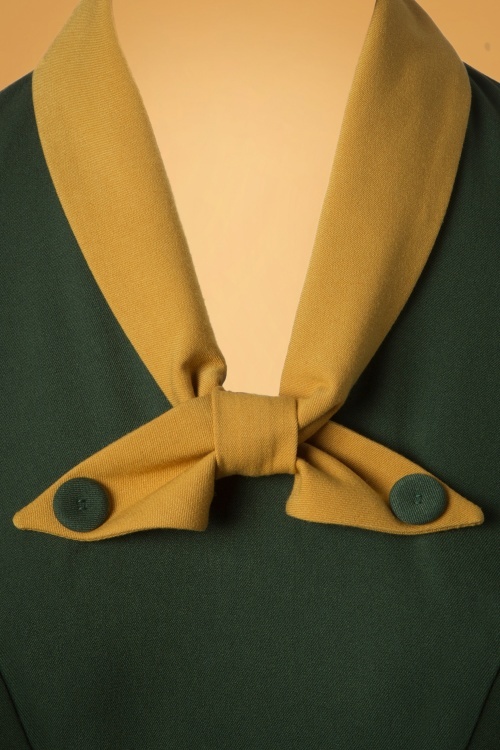 Alle drei Kleider sind schön, detailverliebt und aus festem Stoff verarbeitet. Mit Hut und Mantel ideal für den Herbst.